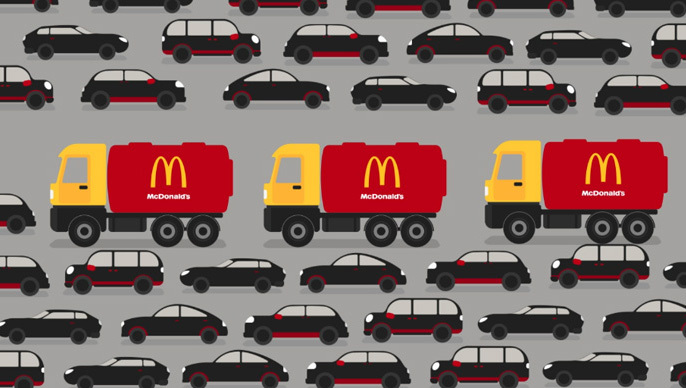 McDonald's will soon be using the used cooking oil to generate bio-diesel fuel that will fuel the company's refrigerated delivery trucks in India, making it the first restaurant in India to do so. The food giant generates tonnes of waste cooking oil that will now be recycled into bio-diesel. The company has already initiated a pilot project of collecting used cooking oil from its 85 outlets located across Mumbai. The brand also has plans to extend the same to more than 275 outlets that are spread in western and southern regions of India, commented Hardcastle Restaurants Pvt Ltd (HRPL) Director Vikram Ogale. Further, HRPL would also take this to 450-500 restaurants in India. The cooking oil that is left after frying French fries and other items is collected and is taken in tankers to a converting facility. The bio-diesel generated through this procedure is then returned to the logistics division of McD group of that city. HRPL states that over 35,000 litres of used cooking oil is generated every month. When this is converted into bio-diesel that in turn fuels its fleet of 25 refrigerated delivery trucks in India, it results into a saving of 4.2 lakh litres of crude oil annually. The advantage of bio-diesel is that it is cleaner and emits 75 per cent lower carbon compared to the conventional diesel engines in its entire life-cycle. Further, it is not just the diesel engines that will be making use of the bio-diesel generated from used cooking oil but also the refrigeration unit installed on the trucks that will be fuelled by it. 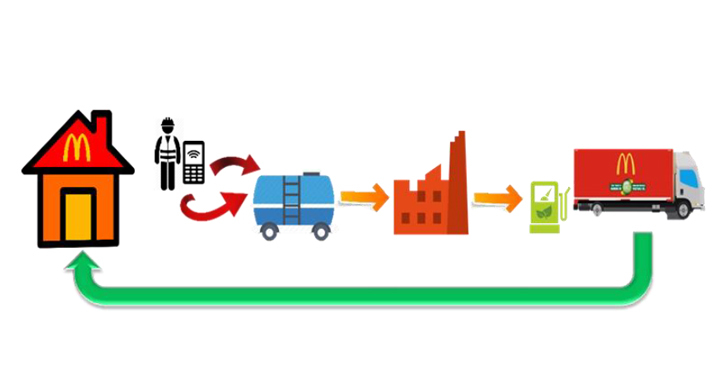 Used cooking oil is collected in specially designed containers and transport them to a converting unit. At the processing facility of this unit, this oil is left to settle in large tanks. After a while, smaller and lighter particles start floating at the top, while heavier ones start sinking at the bottom of the tanks. The oil is heated and spun to remove water and solids. This is followed by a process called esterification, a chemical reaction that produces biodiesel. Once the fuel has been produced, it is filtered and distilled. The entire conversion process takes about 6 to 8 hours.